Summertime is here and that means delicious summer barbeques! If you are planning on hosting a summer barbeque this year, this table design is perfect. In fact it is perfect for any country themed outdoor party. 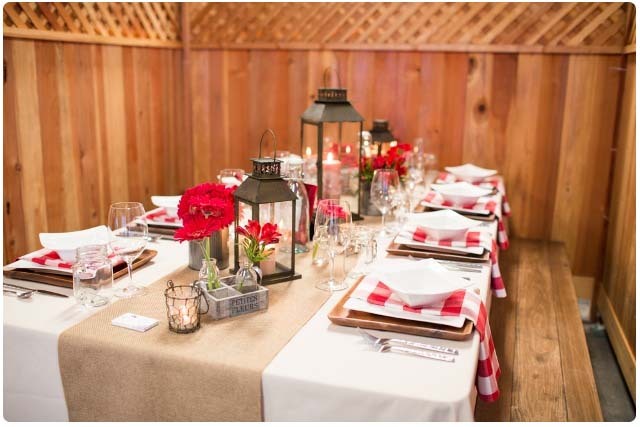 We featured this country themed table design at our Grand Opening event in Healdsburg and it was a huge hit, so we just had to share! To start the country look, we put up wooden screens around the table, but your natural surroundings can work just as well! We went with beige colored linens with a jute runner and used our new farm benches for seating. 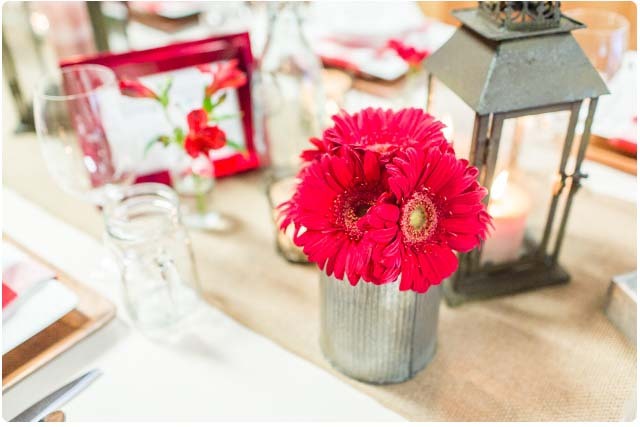 For the centerpieces we picked red roses and daisies from our garden and displayed them inside metal jars or mason jars. We also rent rustic lanterns that can tie into the country look. For the table top, we used our mahogany wood chargers, square plates and bowls, and our hammered flatware. Of course, you can’t have a country style bbq without our mason jars! 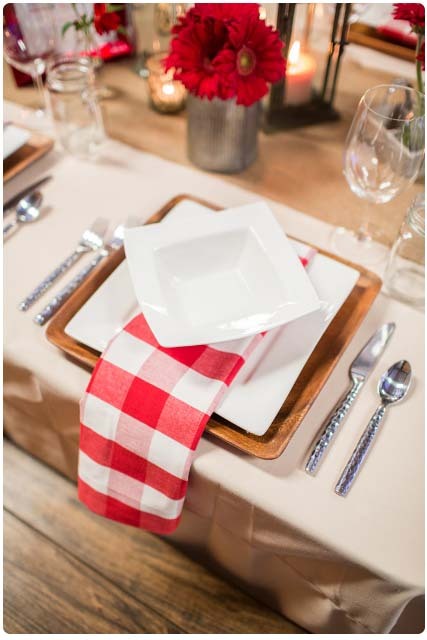 To complete the country theme, we used our red and white gingham napkins. 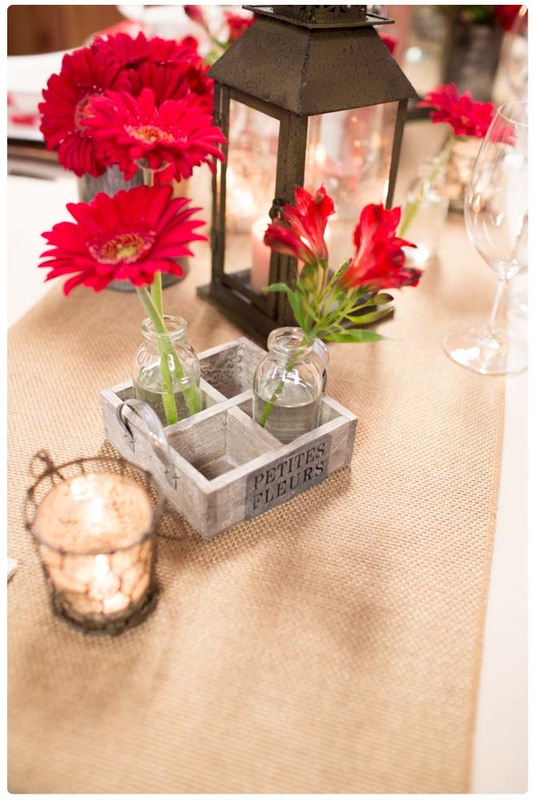 We instantly fell in love with these cute rustic holders for the flowers and candles. They give that perfect rustic country feel, and although we don’t rent them, they can be found at most craft or antique stores. And of course, all photos were taken by Mallory Miya Photography.